The theme of the 2016 Rose Parade was Find Your Adventure. 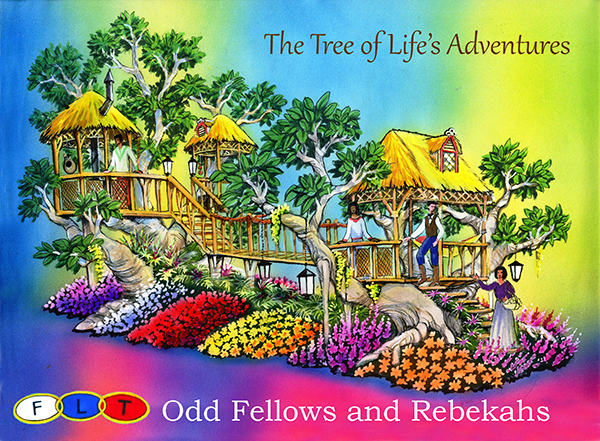 Our float was titled The Tree of Life's Adventures and paid homage to the adventures, memorable events and achievements of families and family life. 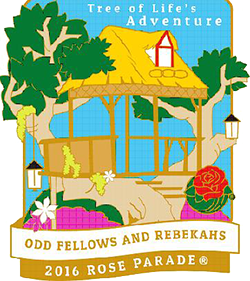 On January 1, 2016 the Odd Fellows Rebekahs Tournament of Roses Parade float completed its 5.5 mile journey along Colorado Blvd in Pasadena California. Among the riders this year were Danny Wood, Sovereign Grand Master of the IOOF, Dave Rosenberg, Grand Master of the jurisdiction of California, and Lady Cathy Doub, president of the IALAPM. Follow this link to watch all the 2016 telecasts as shown on ABC, KTLA and HGTV.